Forward unread messages from mailbox owners inbox to delegates. Select the messages to forward and confirm your selection with OK.
Click Send Out of Office Replys to send replys to senders of already received messages. 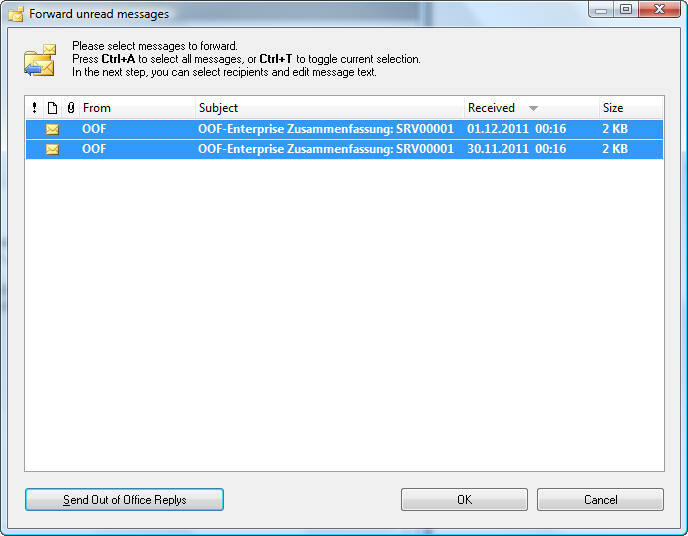 You can restrict the details shown here (body preview, sender, subject) and which message sensitivity could be forwarded at all. 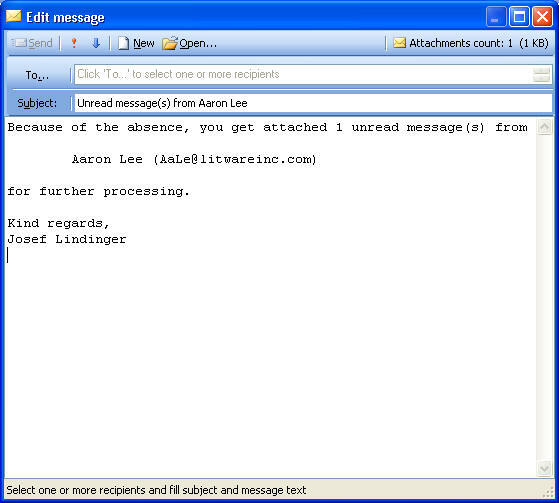 The selected messages will be attached to a mail. The delegate can open or reply to these messages directly. Message text is created automatically based on a scriptable template. You only have to select a recipient and send the mail..